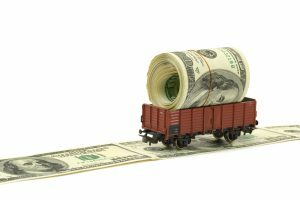 Multi-Carrier Billing “Train Wrecks” - American Truck & Rail Audits, Inc.
AMTR has helped recover hundreds of thousands of dollars for shippers, even when the bills have been correct! Many shippers know the difficulty of dealing with multiple railroad carriers for a single shipment; either each railroad is paid separately, or one carrier is paid for the full interline move and is responsible for distributing the money to the other railroads involved. Shippers can benefit from either type of invoicing, depending on the lanes, negotiated pricing and volume. AMTR has extensive knowledge of all the legalities and carrier-specific rules governing these movement types. We also maintain direct relations with all the major railroads to ensure our clients pay the lowest rates. There are many occasions when separate freight bills, which are governed by private pricing, might be preferable over a published through rate. Likewise, an interline rate paid to one carrier might turn out to be less expensive than separate invoices. AMTR has been successful in having carriers issue corrections to invoices or having them cancelled altogether. When it comes to these issues, just because the invoice is correct, does not mean the shipper paid the lowest possible amount on the full shipment. At AMTR, auditing is more than just rubber-stamping bills. We look for the lowest rates, even when everything checks out on the bills. We will review the movement as a whole and we will not stop until we are certain there are no additional savings available.